Rare Opportunity to own this Gorgeous Estate home on 1+acres. This stately home was designed by Architect and Artist Cindy Coletti, inspired by her love of Colorado and aptly named "California Dreaming" This home was featured in Parade of Homes and the Christmas Tour of Homes. From the beautiful A-Frame picture window to the wood beams and warm flooring, the stone fireplace and huge open kitchen, this is more than just a house, this is a place to call home. The kitchen is a chef's dream with an abundance of storage including large pantry cabinets and generous counter workspace. Most rooms overlook the oversized lanai showcasing the salt water pool and two sitting areas for plenty of outdoor entertaining space. 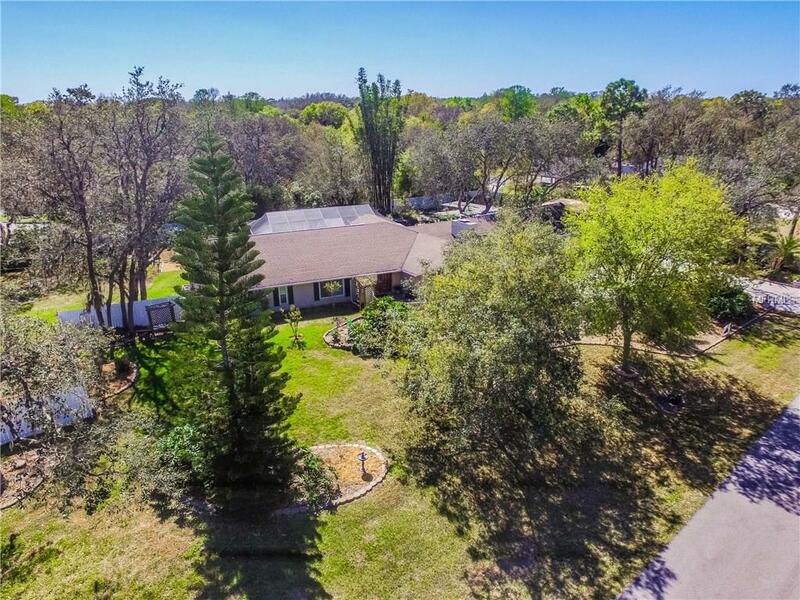 This estate with its rolling back yard includes a separate 1030 sq ft air conditioned cottage, a playhouse, potting shed, separate 384 sq ft workshop and double RV Pad. The landscaping includes drought resistant plants and several varieties of orchids and was designed by a master gardener. Don't miss the serene sitting area complete with pond and waterfall. Too many features to list, call today for a list of the upgrades and your private viewing.